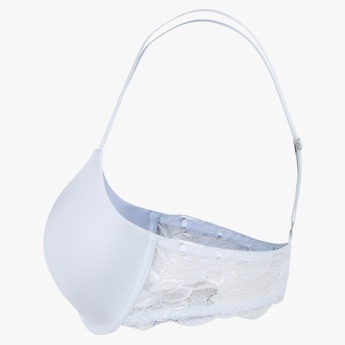 Complete your wardrobe with this wired bra. They come in solid shades that match well with a variety of outfits. The hook closure at the back and adjustable straps ensure utmost support. Sporting a lace design, it looks great and the straps can be adjusted.